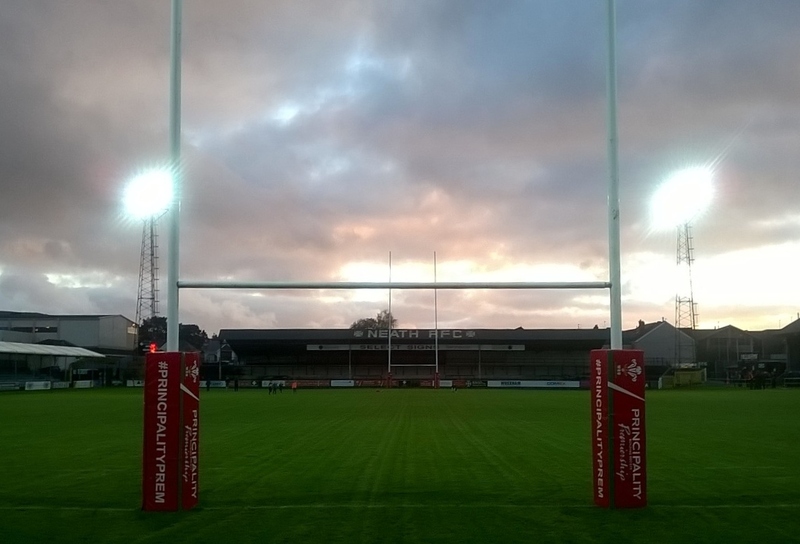 Neath Rugby Supporters Club is calling on fans to help it reach a remarkable milestone. In just four years in existence the supporters club have made over £9000 worth of donations to Neath RFC and now, on the eve of a new season, the club is looking to make even more contributions and hit the £10,000 target. The supporters club’s first donation to the squad of nutritional supplements, was made back in September 2013, just weeks after the club was formed. Since then the club have bought items as diverse as training tops, fitness equipment, water bottles, and even a washing machine. In addition, the club has also paid for the refurbishment of the physio’s room and the redecoration of the Gnoll’s changing rooms. Also, this summer, for the second year in succession, the supporters club also made a significant contribution to the ground’s maintenance, buying items such as sand, fertiliser and grass seed. We are really proud of our members and supporters who have backed us over the years. We couldn’t have made such significant contributions without your backing. However, we are not resting on our laurels and are aiming to push on and make many more contributions. To do this we need more members to join the supporters club and so we are calling on anyone who hasn’t joined for this season to do so at Saturday’s game with Swansea. Through these donations supporters can make a real and practical difference to the team. Every extra member we have will allow us to make more donations to the club. Membership of Neath Rugby Supporters Club costs just £10 for the year and all profits go directly back into helping Neath RFC return to the top of Welsh club rugby. With the new season almost upon us, Neath Rugby Supporters Club is inviting fans of Neath RFC to a special preview evening on Tuesday 22nd August. The evening will start with the players going through the paces in a pre-season training sessions of the summer. Then, at 8:30pm in the clubhouse, coach Paul Williams and team manager Martyn Morris will give supporters the latest news on the squad, as well as giving their thoughts on the challenges ahead in the new season. Some of the players will also be present. Fans will also have the opportunity to quiz the panel on the coming campaign. Entry is free and open to everyone. There will be an opportunity to join the supporters club on the evening, in readiness for the coming campaign. 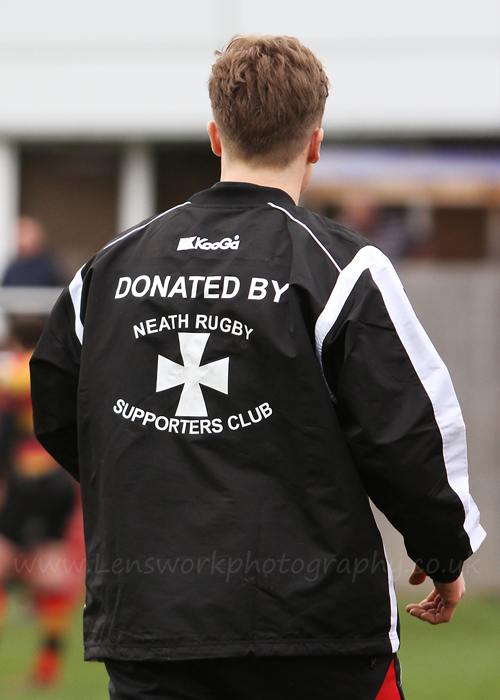 During the past year, the Supporters Club supported Neath RFC with donations a video camera to help with analysis, a washing machine to wash kit as well as helping with pitch maintenance over the summer. This was only possible due to the extraordinary backing of supporters that we received. Naturally the more members we have, the greater is our ability is so support the team, so please make sure you sign up for the 2017/18 season. Membership costs only £10 for the season and really does go a long way to supporting YOUR team. The Neath Rugby Supporters Club AGM will take place on Monday 14th August 2017 at 7:00pm at the Neath RFC Clubhouse. The AGM will be an opportunity to hear what the club has achieved in the past year and to elect or re-elect officers for the coming year. Admission to the AGM will be strictly for members only, so please remember to bring your membership cards with you. We are now just over three weeks away from our Hall of Fame night on 26th May. Tickets for this annual celebration event are selling well but we do still have a few left. These tickets will be on sale from the supporters club table in the clubhouse at Friday’s game against Bridgend – one of your last chances to secure tickets before the big night. Tickets cost just £7.50 for supporters club members and £11 for non-members. The ever-popular event will see Neath greats Elgan Rees, Roy John, Glen Ball, Dai Parker and Phil Pugh inducted into the Hall of Fame. The evening will also feature the annual awards for the current squad. One such award will be the Supporters Player of the Year. 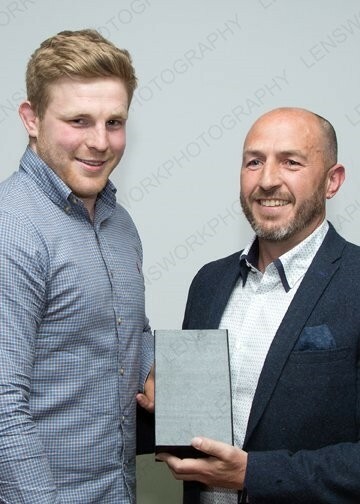 Voting for this year’s award is now open and you can vote by visiting the supporters club table in the clubhouse at Friday’s game or by e-mailing info@neathrugbysupporters.com – ensure you include your name and your supporters club membership number. Voting is only open to supporters club members. Remember that all the profit we make from the evening goes back into helping the squad prepare for the 2017/18 through the provision of kit and equipment. The Hall of Fame is sponsored by R&SD Risk Management. Neath Rugby Supporters Club are inviting members to vote for their player of the year. Between now and the end of the season, members can cast their vote and have their say on who they think deserves to follow in the footsteps of previous winners Alex Humphrey and Leon Ward. During a season which has shown glimpses of what this squad is capable of we want to know who you think the standout performer has been – who gave it their all, week in, week out? Who impressed you the most? Members can vote by visiting the supporters club table in the clubhouse at the Neath v Bargoed game on Saturday and the Bridgend game on 5th May. You can also email your selection to info@neathrugbysupporters.com – ensure you include your name and your supporters club membership number. The winner will be presented with their award at the Hall of Fame night on Friday 26th May. So getting thinking, and make sure you vote for your favourite player. Voting is only open to Neath Rugby Supporters Club members. Tickets for Neath Rugby Supporters Club’s annual Hall of Fame night will be going on sale at the Neath v Cross Keys game on Saturday. Taking place on Friday 26th Hall of Fame Tickets Go On SaleMay, the evening will see Neath greats Elgan Rees, Roy John, Dai Parker Glen Ball and Phil Pugh inducted into the Hall of Fame. The popular event has always sold out in the past and so fans are encouraged to buy their tickets as soon as possible. Tickets cost £7.50 for supporters club members and £11 for non-members and will be on sale from the supporters club table in the clubhouse before and after Saturday’s game. Following months of nominations and careful deliberations, the five inductees into the 2017 Hall of Fame have been chosen. Stalwart wing Elgan Rees was a fixture in the Neath team throughout the late 1970s and 1980s. He toured twice with the British and Irish Lions, winning his first Lions cap before he’d played for Wales. He eventually went on to win 13 caps for Wales, scoring six tries. Blindside flanker Phil Pugh is latest player from our golden era. A hard tackling and abrasive player, one of his finest games in the Neath shirt came in that memorable game against New Zealand. His display that day led him to winning his first (and, amazingly, only) cap against the tourists a few weeks later. Second row forward Roy John’s was renowned for his prowess in the lineout. This led to him making his debut for Wales in 1950 and going on to win 19 caps for his country. He toured Australia and New Zealand with the British and Irish Lions in 1950, becoming, alongside Rees Stephens, the first Neath players to play for the Lions. With an incredible 511 appearances, Dai Parker has played for Neath more times than any other player. The diminutive outside half was a key figure in the Neath side between 1965 and 1974, captaining the club during his final season. One of his finest moments came when he scored the winning try in the inaugural WRU cup final in 1972 cup. Glen Ball was a distinguished centre who played for Neath during the 1970s, playing in the cup final triumph of 1972. He was also a key figure in the coaching team alongside Ron Waldron and Brian Thomas, during the club’s golden era of the late eighties and early nineties. Although he never played for Wales in a capped international, he did play against Argentina in 1968, for which he was belatedly awarded a President’s cap. These five players will be inducted into the Hall of Fame on Friday 26th May, where they will be awarded with their commemorative caps. Tickets for the evening will be on sale at Neath’s remaining home games this season (Cross Keys, 8th April & Bargoed, 15th April). Tickets cost £7.50 for supporters club members and £11 for non-members. 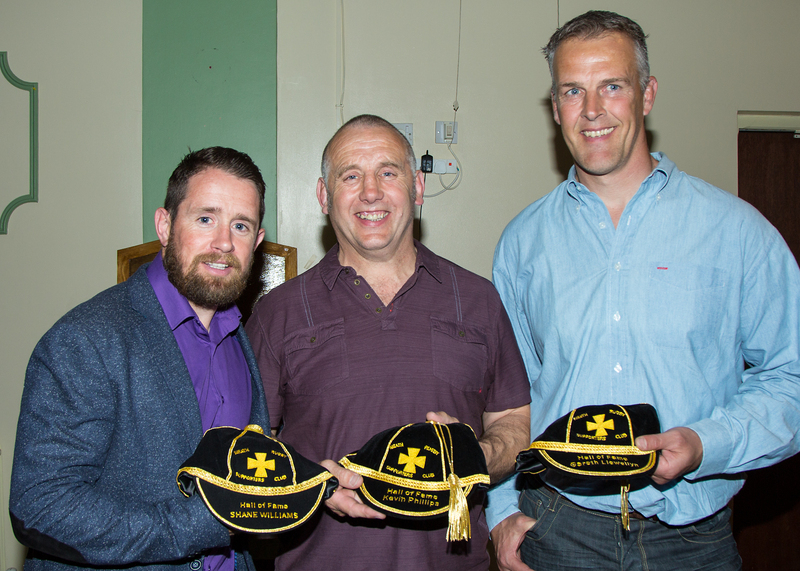 The date for the Neath Rugby Supporters Club Hall of Fame celebration evening has been confirmed. Friday 26th May will see the great and the good of Neath RFC gather at the clubhouse for our annual celebration. The evening will see five of Neath RFC’s all time legends inducted in to the Hall of Fame and, as ever, fans are invited to come along. Tickets are priced at £7.50 for supporters club members and £11 for non-members. Following the success of previous years, tickets are expected to sell out fast, so we would urge anyone who wishes to attend to secure their ticket as soon as possible. Don’t forget, that we’re still taking nominations for who you would like to see inducted into the Hall of Fame. The closing date for nominations is this Saturday (18th March) and you can nominate as many individuals as you like. They will then be whittled down to the final five by a panel of supporters club members. So get nominating and then join us on 26th May for what promises to be a memorable evening. Just a quick reminder that the closing date for nominations for the 2017 Hall of Fame is this Saturday (18th March). We’ve had a great response so far with almost 150 individual nominations, and 50 separate players all put forward. The names will then be whittled down to the final five who will be inducted at our end of season celebration night. 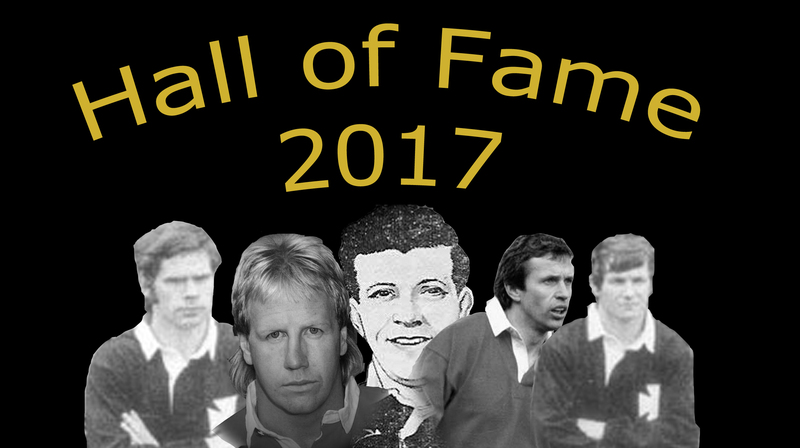 Neath Rugby Supporters Club is on the lookout for some of its members to come together to help choose who should be inducted into the 2017 Hall of Fame. Over the past couple of months, fans of Neath RFC have been busy nominating players and administrators from all eras and now the time has come to whittle the dozens of names down to the final five. The closing date for nominations is this Saturday (18th March). We will then need our selection group to get together at a convenient date shortly after to choose the final five.